On November 28th 2013, Lithuania will host the Third European Partnership Summit in Vilnius. 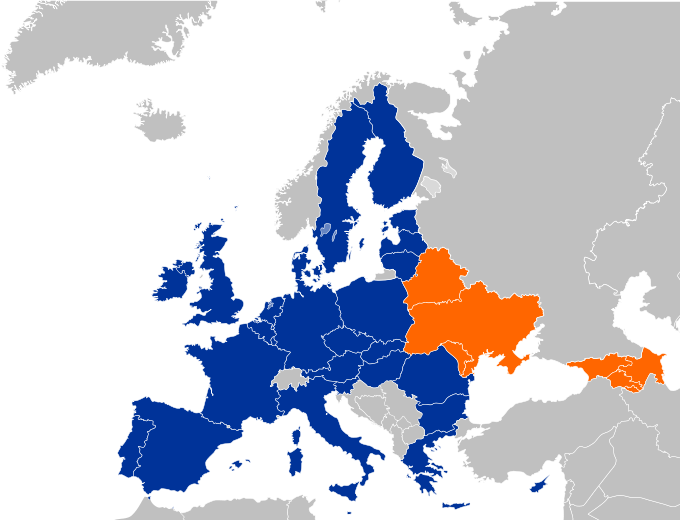 Leaders of the European Union and Eastern Partnership (EaP) countries – Armenia, Azerbaijan, Belarus, Georgia, Moldova and Ukraine – are/have been invited to consider the countries’ progress towards the EU during the past two years, in terms of developing political and economic ties and converging legislation and institutions towards EU standards. When the Eastern Partnership Initiative was launched in 2009 levels of expectation were high, so progress to date will no doubt be considered disappointing. The trajectories of the six countries moving towards the EU vary considerably, because they continue to demonstrate different levels of commitment to reform and performance. The most widespread hindrance to political reform is the lack of political will among entrenched governing elites. - Moldova remains the top reformer in the region and is closest to meeting EU standards. - Georgia is the second best performer and made the biggest advancement towards implementing democratic reforms over the last year. - Ukraine, in overall third position, fails to translate its close relation with the EU into greater similarities to the EU system. - Armenia is catching up fast with Ukraine and showed good progress in many areas last year. - Azerbaijan has intensified political and economic ties with the EU, but shows no progress in meeting EU standards. - Belarus remains the furthest from the EU in terms of either developing ties or moving towards European values and standards. Elections: Recent elections in some of the countries tested the very foundations of these young democracies. In Georgia, for the first time, elections led to a peaceful change of government through the ballot box. Parliamentary and presidential elections in Armenia were largely well-administered, without the violence and fatalities that affected the country in March 2008. These two countries, at least, managed to reinforce the roots of democracy. Details of [Azerbaijan President] Aliyev's massive victory were somewhat compromised by having been released the day before the election. Democracy: Тhe index measurement of ‘Deep and Sustainable Democracy’, the concept which is the cornerstone of the EU reward system, shows that Moldova, Georgia and Armenia have made progress on democratic reforms over the last two years. These countries received additional funds from the EU to encourage further advances. Ukraine registered no changes in the overall quality of democracy and the situation in Azerbaijan deteriorated. The crackdown on political dissent there put the country on the same level as Belarus, but, despite their similarly disappointing performance, the EU has not treated them even-handedly. In its urge to diversify energy supplies, the EU has been courting the Azeri regime to pump more oil and gas to Europe, so while Belarusian officials and companies remain subject to the EU visa ban and frozen assets, Azerbaijani diplomats and officials will soon enjoy visa-free travel to EU countries. The application of such double standards calls the moral superiority of the EU into question, negating any force its reprimands for human rights violations might have, and making it in effect into toothless organisation. The Vilnius Summit offers a great opportunity for the EU to reflect on how better to use its transformative power. The EaP provides similar incentives to all partner countries: political association with the EU; greater access to the EU market through Deep and Comprehensive Free Trade Agreements (DCFTA); and closer social ties through the offer of visa-free travel for their citizens. EU criticism did not prevent Ukraine and Belarus from manipulating the elections. The EU has had some success in achieving positive changes that otherwise would not have been embraced by local politicians. Moldova adopted an anti-discrimination law and created an independent watchdog to check the assets of officials and magistrates and clamp down on corruption. Ukraine created a national preventive mechanism against torture and removed restrictions on the registration and activities of NGOs. Scrutiny of elections by the EU and OSCE in Georgia and Armenia has helped to improve candidates’ access to media coverage during the campaign. But EU criticism did not prevent the authorities in Ukraine and Belarus from manipulating the elections, or the arrests of journalists, bloggers and political opponents in Azerbaijan. So why is it that some countries have demonstrated progress, while others have remained mostly immune to the EU’s leverage? The EU’s ability to trigger reforms is heavily dependent on domestic factors. In those countries where the survival of the regime is at stake (Belarus, Azerbaijan and, to a certain extent, Ukraine), the EU’s current offer of political and economic engagement failed to be perceived as sufficient incentive. Another factor which determines the EU’s ability to be a role model is the EU legitimacy and the level of trust it enjoys in the partner countries. According to the EU Neighbourhood Barometer, only in Moldova and Georgia does the majority of the population have a positive image of the EU. The Belarusians and Azerbaijanis trust the EU the least (36% and 39% respectively). The Vilnius Summit will mark the point of no return for some Eastern countries in their trajectory towards European integration. For three countries – Ukraine, Moldova and Georgia - the conclusion of agreements will engage them for many years after the Summit in substantial regulatory alignment with the EU. Only in Moldova and Georgia does the majority of the population have a positive image of the EU. Deep and Comprehensive Free Trade Agreements: the EU has made it clear that these are incompatible with participation in any other customs arrangements with third parties. This means that Russia will no longer be able to bully its former satellite republics into joining its alternative Customs Union and the future Eurasian Union. Unfortunately the Armenian people were the first to fall victim to Russian intimidation: President Serzh Sargsyan announced his intention of joining the Russian-led project shortly after concluding the negotiations on DCFTA with the EU. This sudden decision gave rise to considerable alarm in Brussels at the level of pressure being exerted by Russia on its Eastern neighbours, though recent events in Ukraine indicate that, contrary to all expectations, President Yanukovych might well withstand the pressure and sign the DCFTA. The EaP works in the framework of the European Neighbourhood Policy (ENP), which covers the EU’s neighbours in the East and South and aims to achieve the closest possible political association and the greatest possible degree of economic integration. As we have seen, this goal builds on common interests and on values — democracy, the rule of law, respect for human rights, and social cohesion. Results of the various surveys discussed in this article would suggest, however, that most of the EaP countries have considerable interest in the economic aspects of integration, but are often not prepared to put quite so much work into the political. The EU should look at each individual country and offer a merit-based, rather than geography-based, membership perspective for the entire region, taking into consideration the ambitions of each country, their capacity to adjust to the EU and proven track record of reforms. This approach will reinforce the performance-based differentiation of the EU’s neighbourhood policy. In the meantime, reforming governments in EaP countries must do a better job of helping their supporters inside the EU to argue for possible EU membership by providing frequent and consistent examples of their readiness for accession discussions. Civil society should continue tracking the record and the trajectory of each country in the years to come.